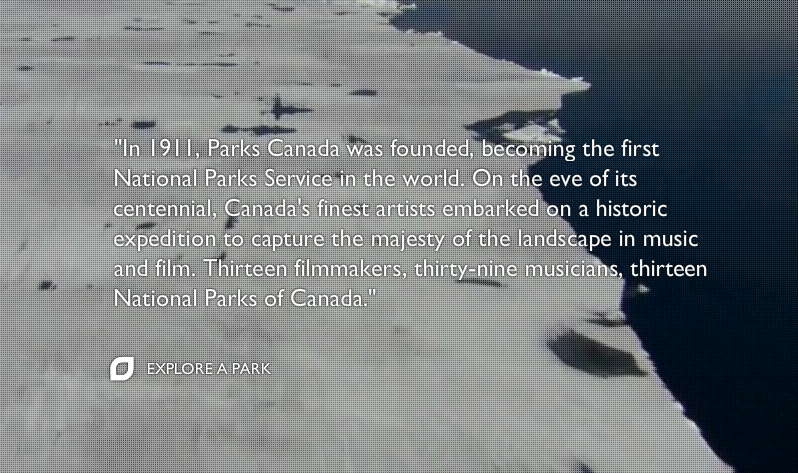 I've been glued to the screen every time a National Parks Project episode comes on Discovery Channel Canada. In every episode three different musicians and a filmmaker set off to explore the beauty of Canada's National Parks. Each filmmaker is responsible for shooting a short film while the musicians jam surrounded by nature providing the soundtrack. Musicians that participated in the project include: Sarah Harmer, Jim Guthrie, Sam Roberts, Sebastian Grainger and John K. Samson. 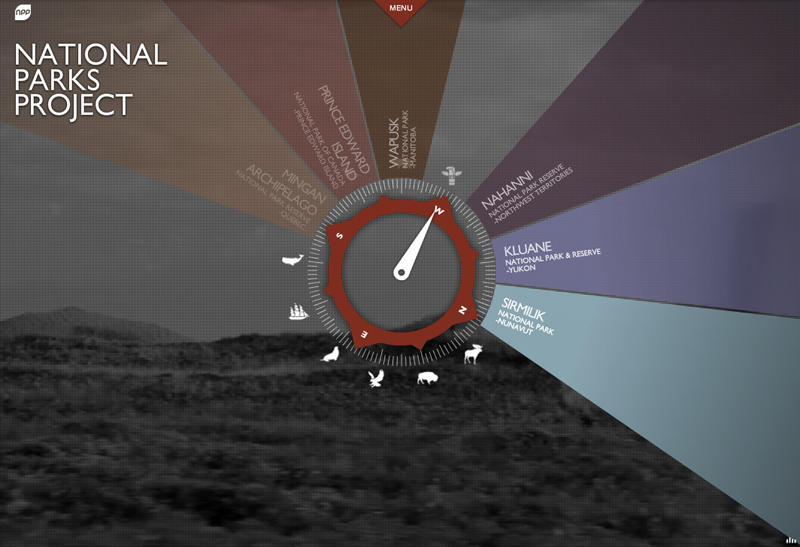 The intro animation on the show has impecable art and the really well designed NationalParksProject.ca allows you to explore the parks on your own and watch all 13 of short films. The result of these collaborations are very immersive, beautiful and moving short films. Here is footage from "Material" by Daniel Cockburn featuring musicians John K. Samson, Christine Fellows and Sandro Perri. National Parks Project - Bruce Beckons from Ryan J. Noth on Vimeo.